Ce document au format PDF 1.7 a été généré par Arbortext Advanced Print Publisher 9.0.114/W Unicode / PDFlib PLOP 2.0.0p6 (SunOS)/Acrobat Distiller 7.0 (Windows), et a été envoyé sur fichier-pdf.fr le 07/11/2013 à 20:59, depuis l'adresse IP 24.48.x.x. La présente page de téléchargement du fichier a été vue 461 fois. Taille du document: 83 Ko (7 pages). molar teeth. International Endodontic Journal, 46, 889–895, 2013.
diagnosis and for evaluating the outcome of endodontic care. Intraoral film versus CBCT for molar periapical status Cheung et al. rarefaction (Lofthag-Hansen et al. 2007, Liang et al. this method of evaluation is still sparse. treatment. The null hypothesis was that CBCT and periapical films were equally effective for the detection of periapical rarefaction associated with the tooth root. were invited to attend a recall in late 2009 or 2010. HKW IRB, Ref No. UW09-190). resolution of 0.3 9 0.3 9 0.3 mm voxel size. scheduled to receive further investigation and treatment. systematic differences and provides an unbiased estimate of agreement (Vargha 1997). CBCT images of 10 maxillary molars and 10 mandibular molars by both the endodontist and oral radiologist was determined (Table 1). (ICC &gt; 0.80; Table 1). Directional difference = Difference between endodontist’s and radiologist’s scores (indicator of bias). d = Standardized difference = mean directional difference⁄standard deviation of directional difference. *P = Probability value obtained from paired t-test. scans, compared with periapical films (Table 3). number of lesions identified (Table 3). was lowest for maxillary molars 0.29 (Table 2). CBCT was highest for mandibular molars (0.81; Table 2). Directional difference = Difference between periapical and CBCT scores (indicator of bias). two methods of assessing the periapical status. identification of small, developing lesion rather unpredictable on a periapical radiograph (Gao et al. 2010). 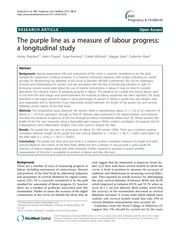 helped in the diagnosis of its presence (Matherne et al. clinicians. Use of magnification would also aid in locating all root canals that may be present. practitioner) had been looking at those images. specialties to assess the radiographs and CBCT scans. radiographic methods (Petersson et al. 2012). dimensions, between PA and CBCT assessments. only are used for evaluating the outcome of endodontic treatment. of American Dental Association 62, 152–60. week and 12 months after root-end resection. Dentomaxillofacial Radiology 38, 531–6. WG (2007) Endodontic applications of cone-beam volumetric tomography. Journal of Endodontics 33, 1121–32. Research Results. Cambridge, UK: Cambridge University Press. 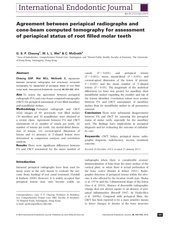 (2008) A new periapical index based on cone beam computed tomography. Journal of Endodontics 34, 1325–31. bone lesion. Journal of Endodontics 36, 1404–9. systems in vitro. Journal of Endodontics 34, 87–9. periodontitis. 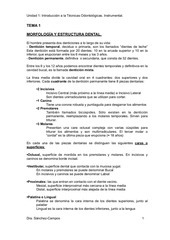 Endodontics and Dental Traumatology 2, 20–4. gold standard. Journal of Endodontics 35, 1009–12. diagnosis of periapical bone tissue lesions in endodontics: a systematic review. 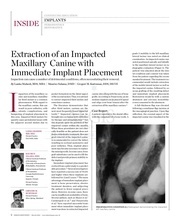 International Endodontic Journal 45, 783–801. interpretation of experimentally produced bony lesions. 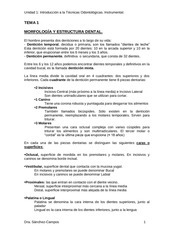 Oral Surgery Oral Medicine Oral Pathology 38, 294–303. Pathology Oral Radiology and Endodontology 109, 629–33. applications. Dental Clinics of North America 52, 825–41. Vargha P (1997) A critical discussion of intraclass correlation coefficients. Statistics in Medicine 16, 821–3. Ce fichier a été mis en ligne par un utilisateur du site. Identifiant unique du document: 00201794.